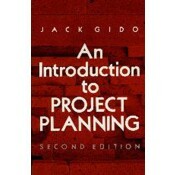 Designed for anyone involved in any type or size project, this book provides a clear, concise explanation of the basic concepts of project planning, scheduling, and control. • Enables the reader to quickly learn how to graphically illustrate all project tasks and their interrelationships, and to analyze the schedule and circumvent potential problems. Illustrates each concept with an actual example to graphically illustrate all project tasks and their relationships. • Shows how to examine a schedule and circumvent potential problems. • Eliminates mathematical expressions and technical examples, allowing readers to acquire the skills to effectively plan and manage any project. This is a Print-On-Demand book and is printed upon receipt of your order. It is not returnable except for product defects. Delivery can take upto 10 - 14 days.